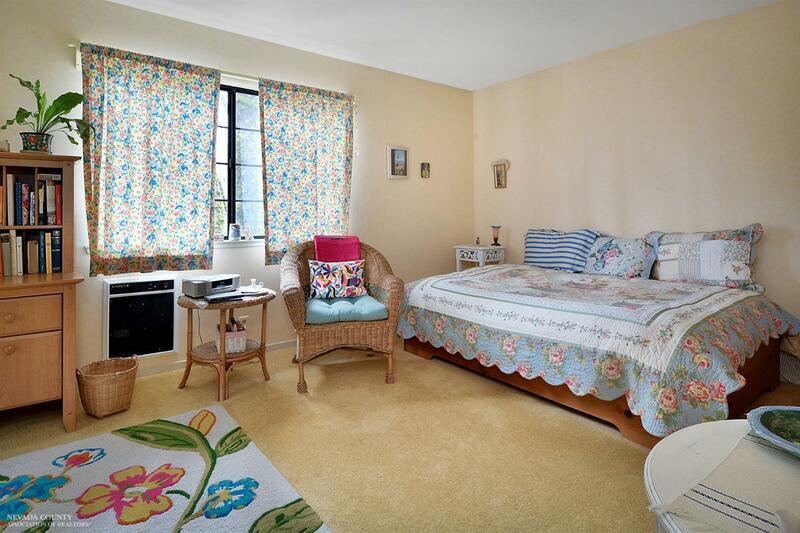 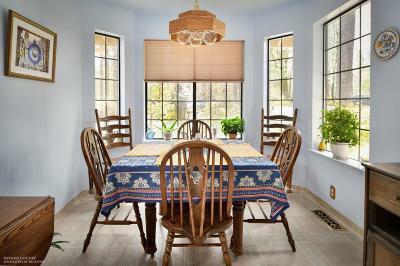 Let the enchantment begin with this charming country home that includes a separate 2 room guesthouse. 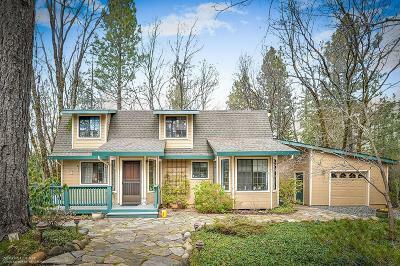 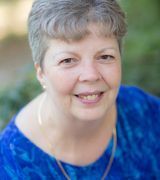 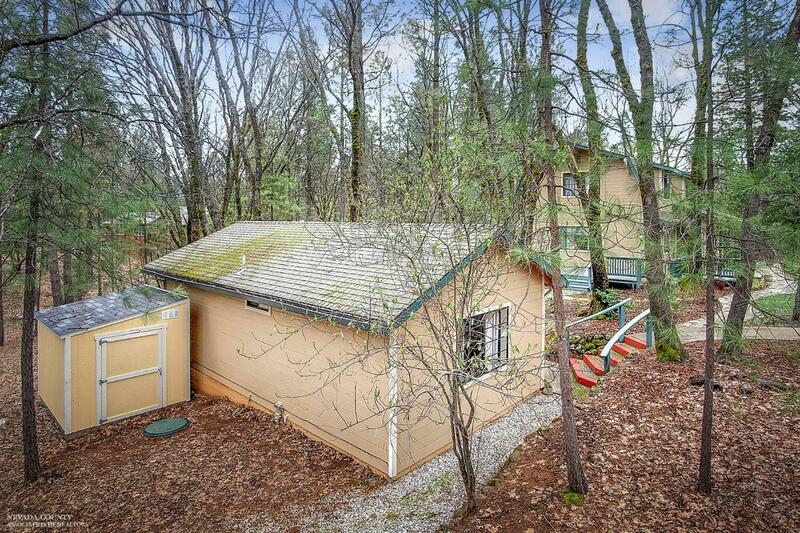 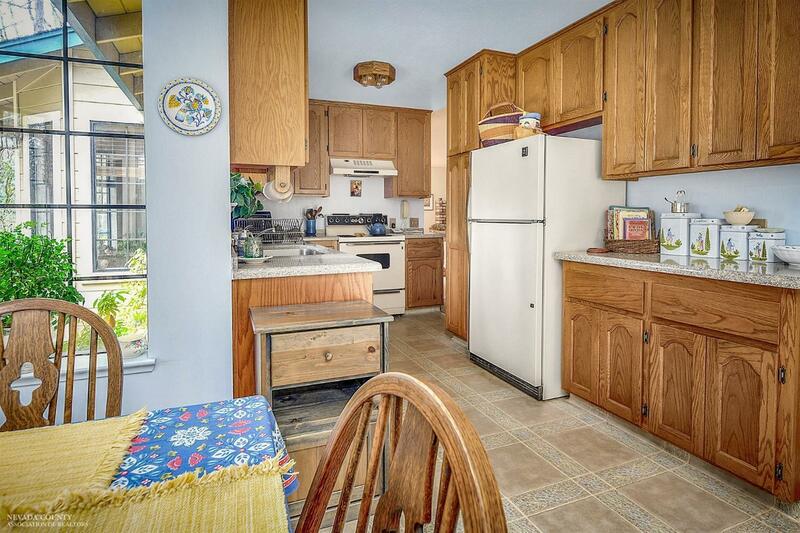 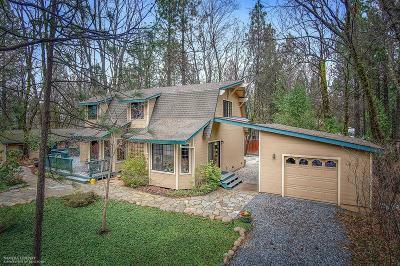 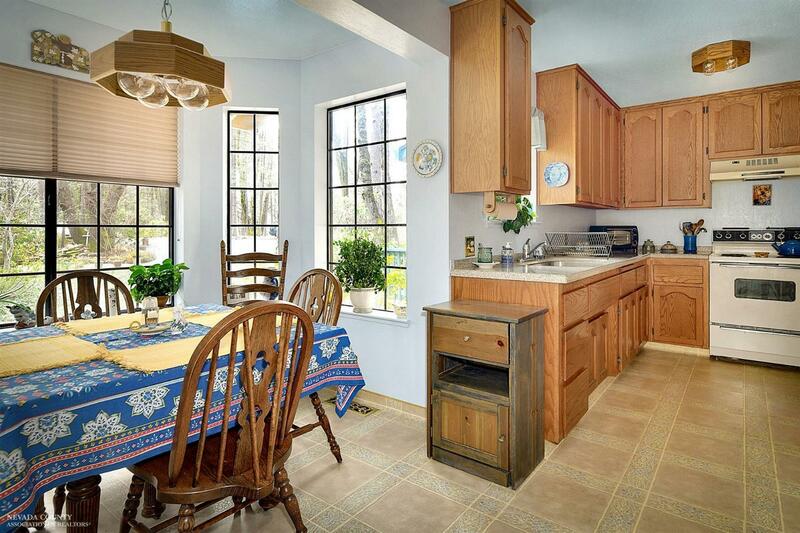 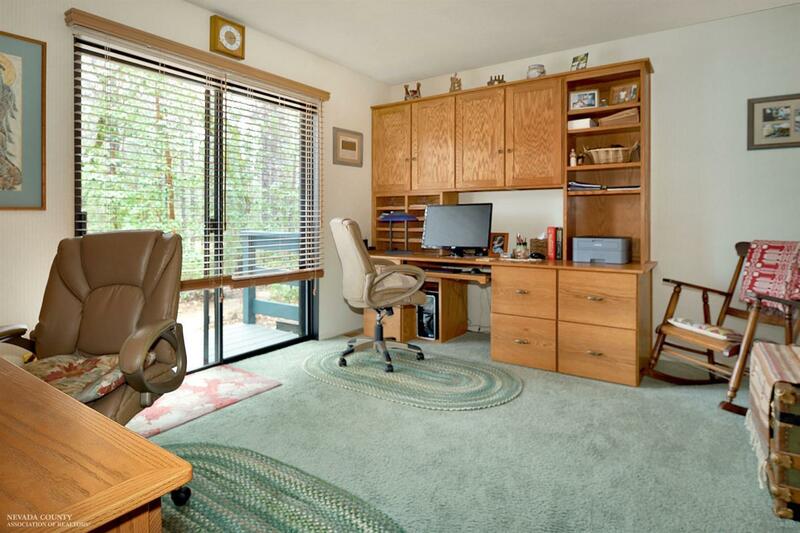 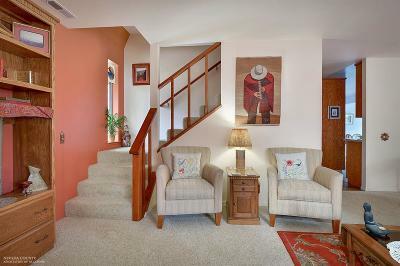 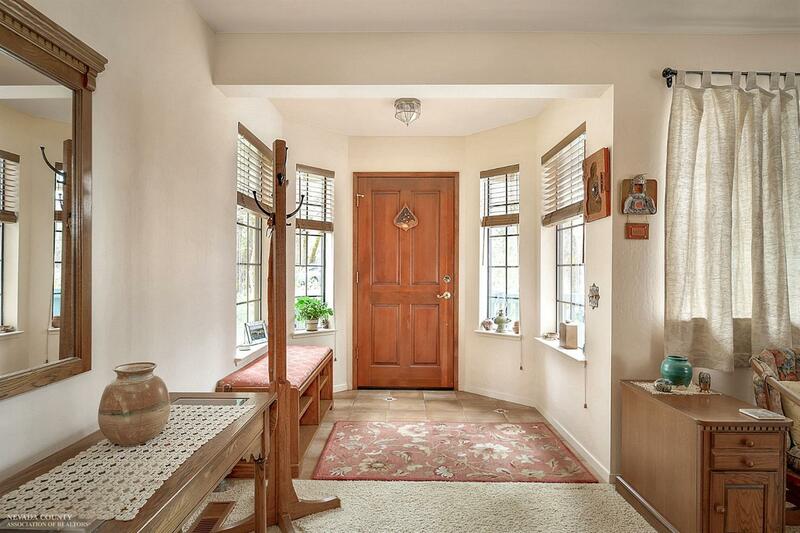 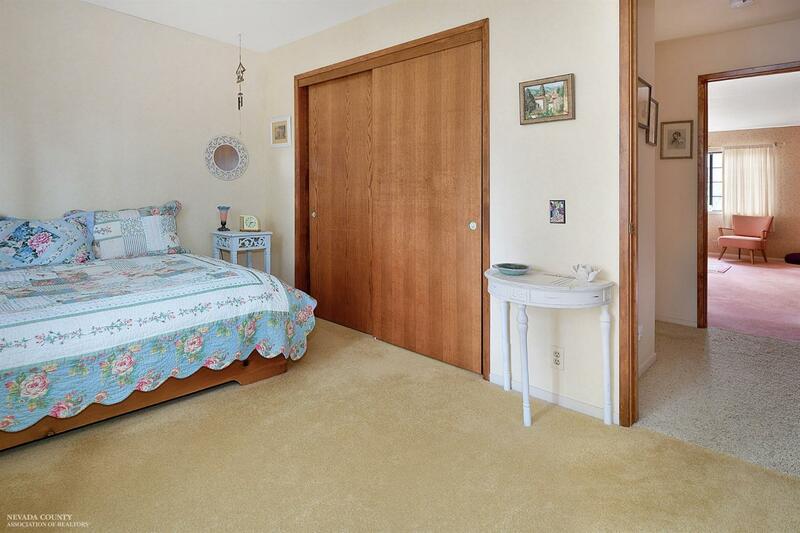 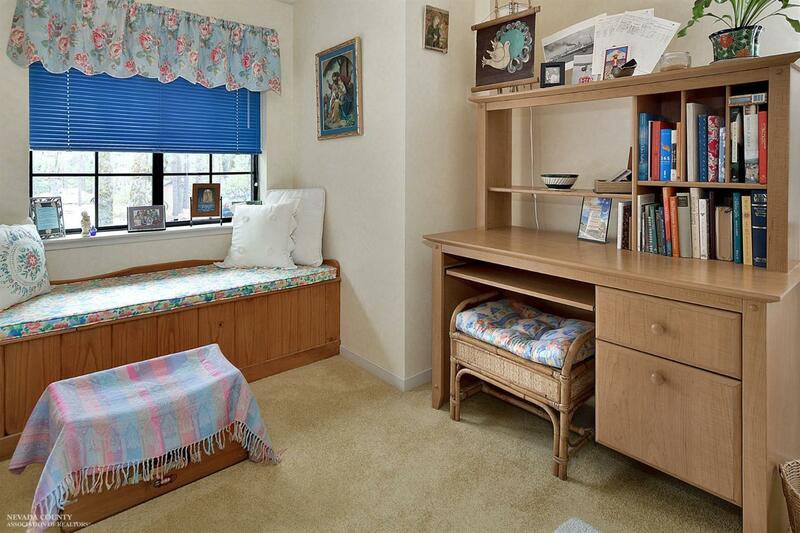 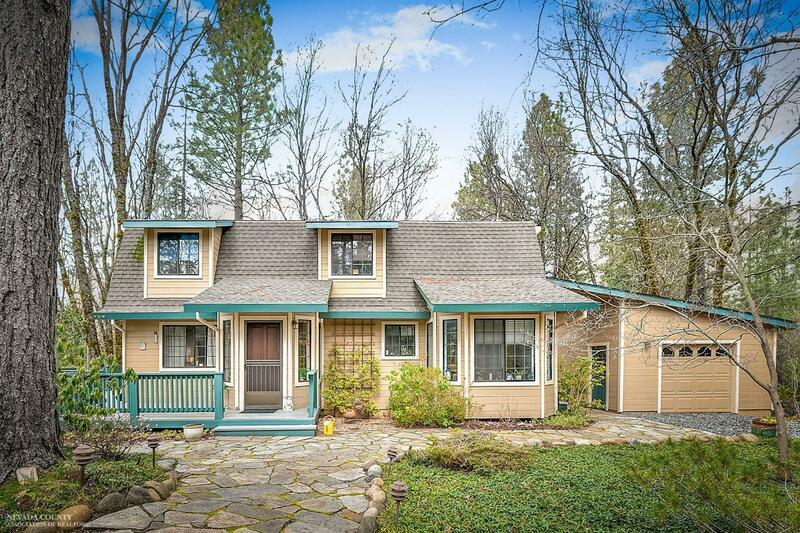 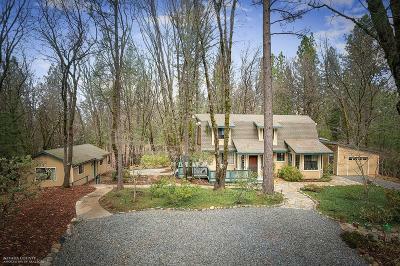 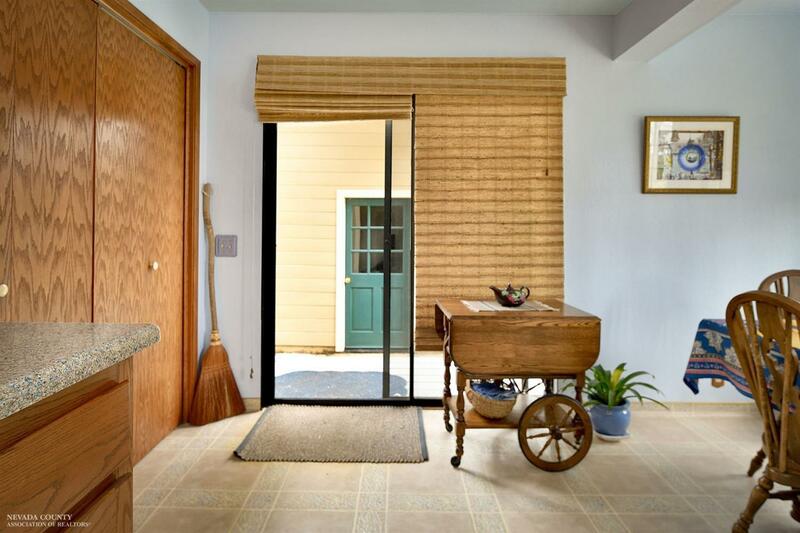 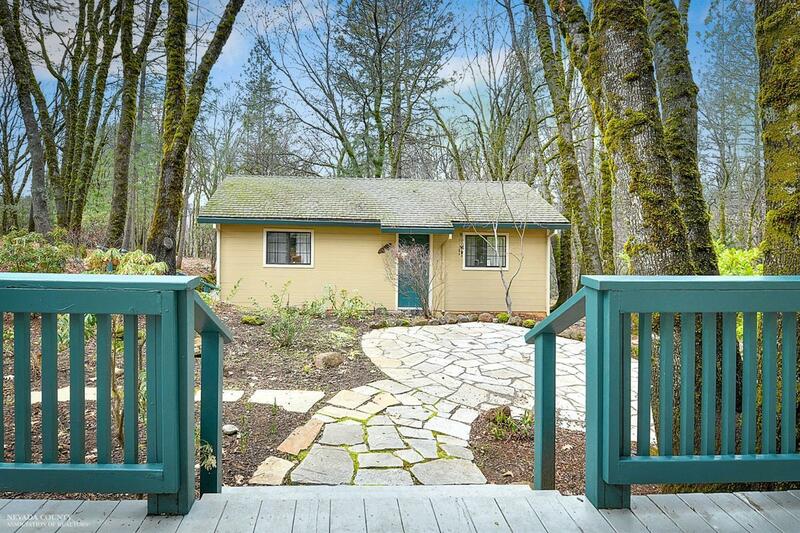 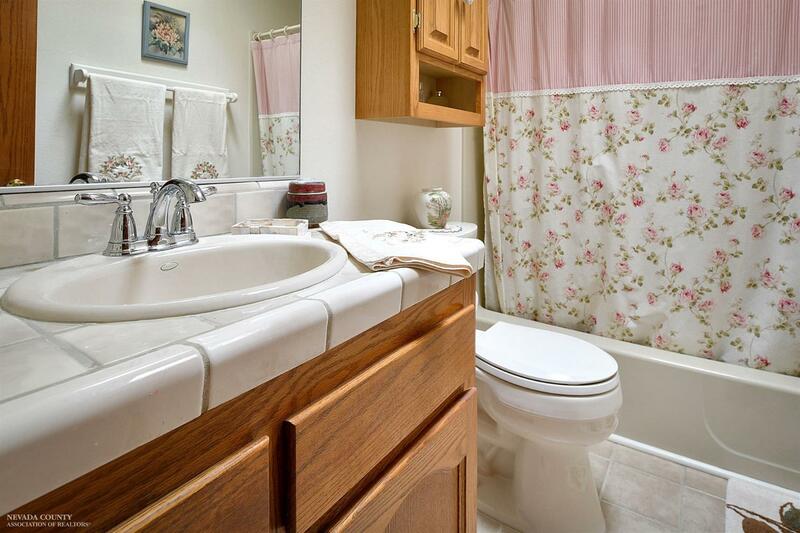 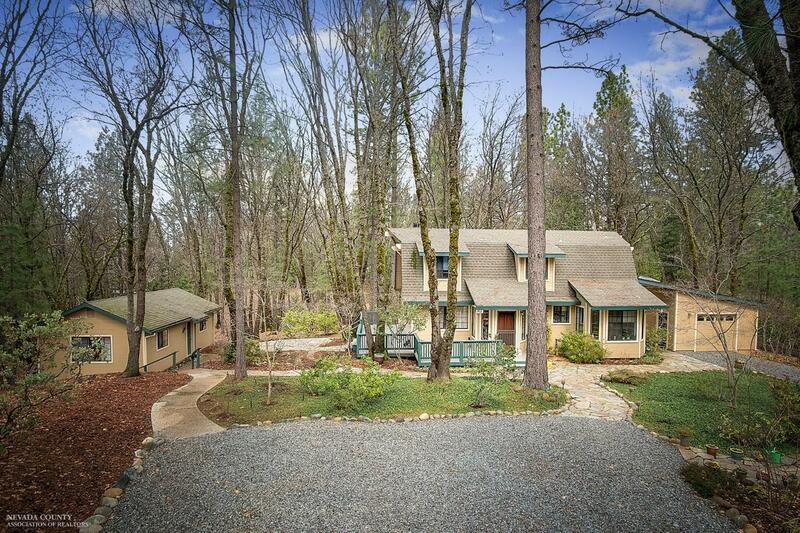 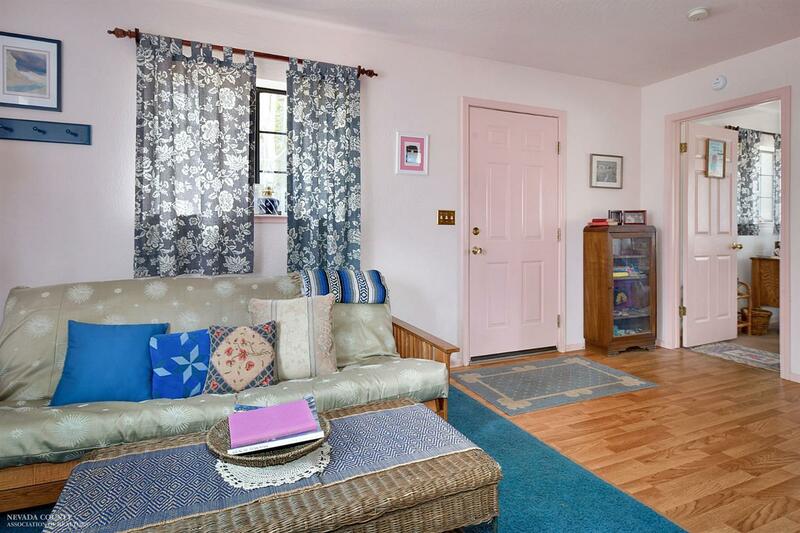 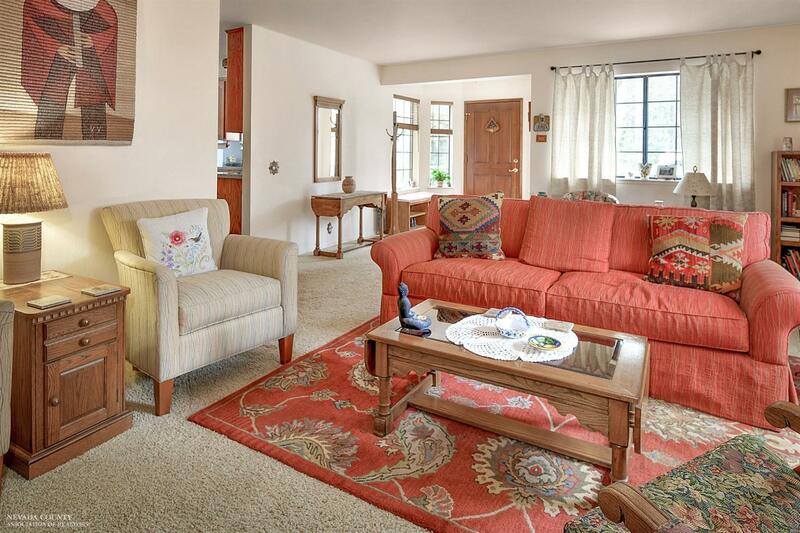 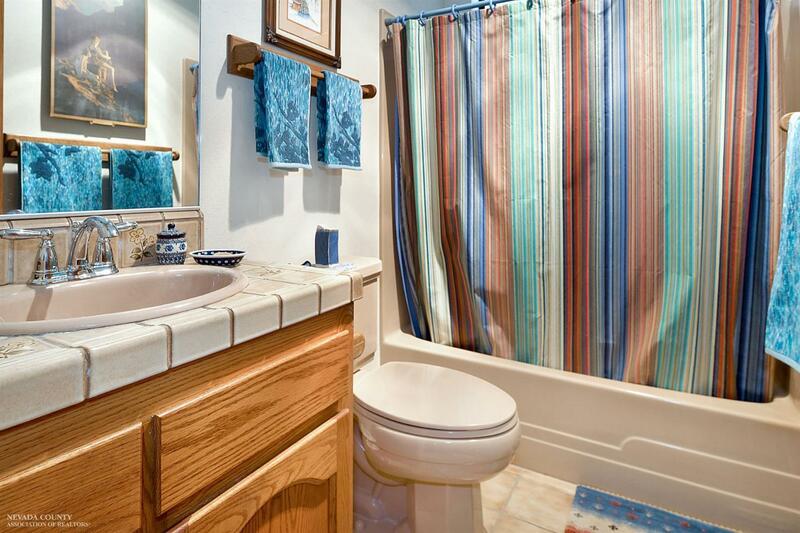 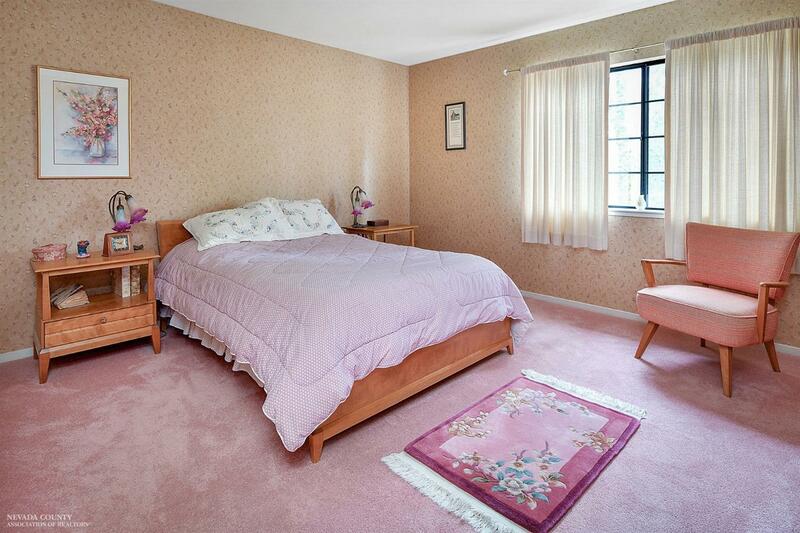 This sweet home is only 2.5 miles to downtown Nevada City, and has been meticulously cared for by its original owners. 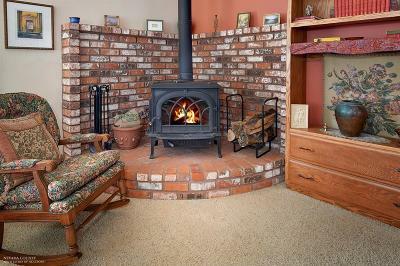 This is a wonderful opportunity to be the second family to love it as much as they have. 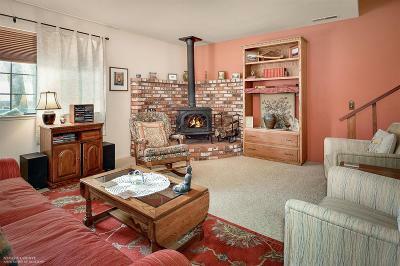 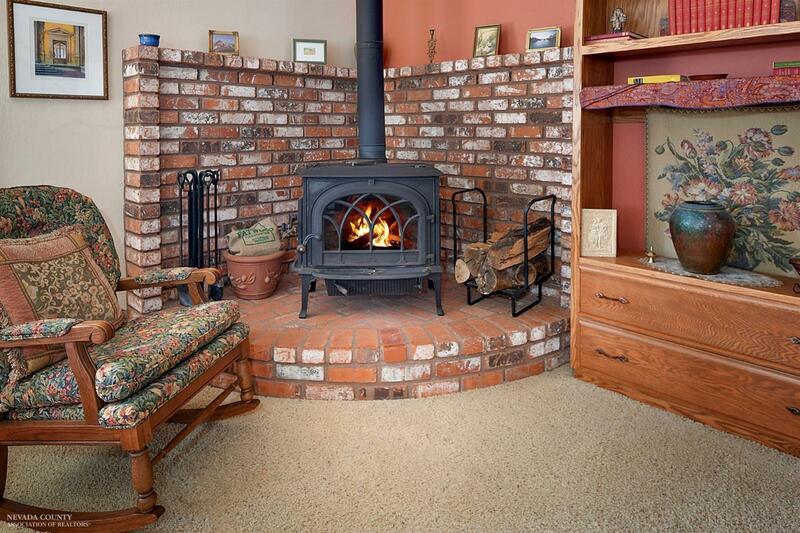 Enter and be warmed by the humble wood stove and brick hearth in the living room. 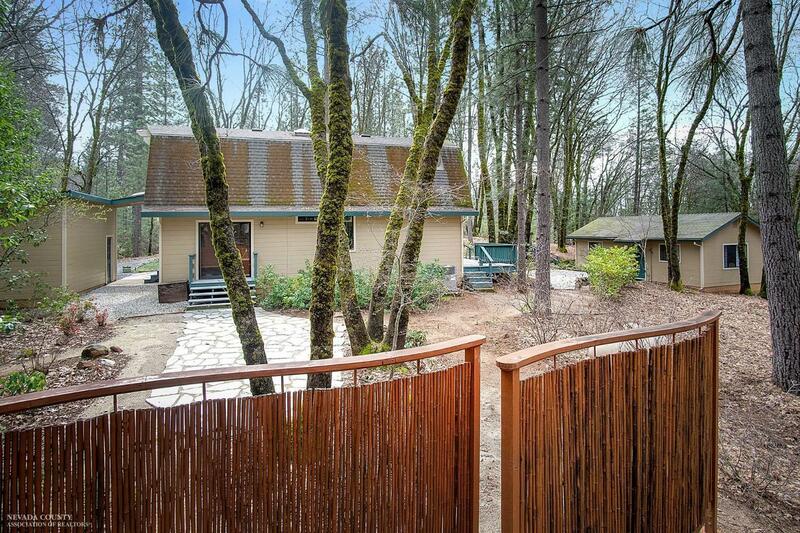 There is a bedroom on the main level with doors leading to a slate patio where a beautifully designed privacy fence creates a sanctuary-type setting. 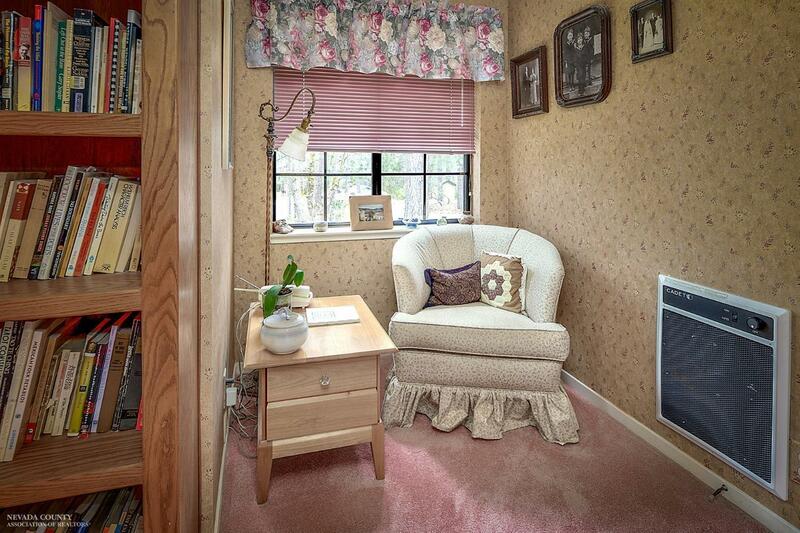 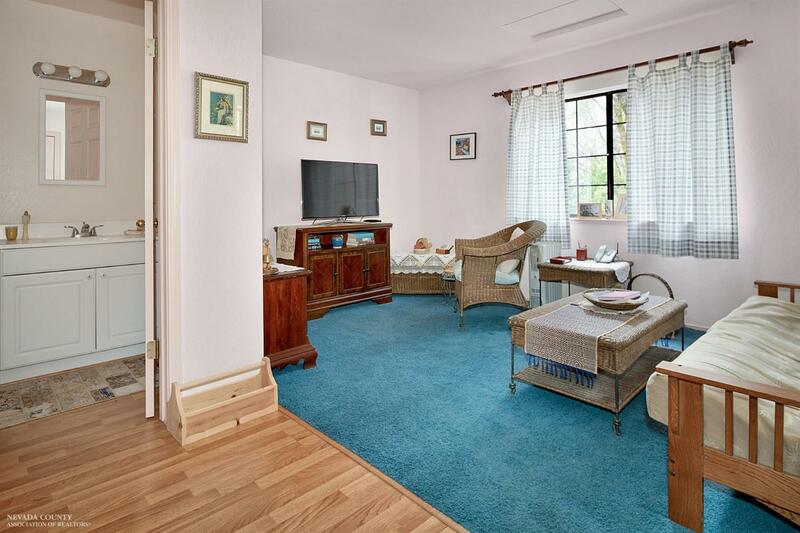 Upstairs are two large bedrooms with sitting areas, dormers and window seats. 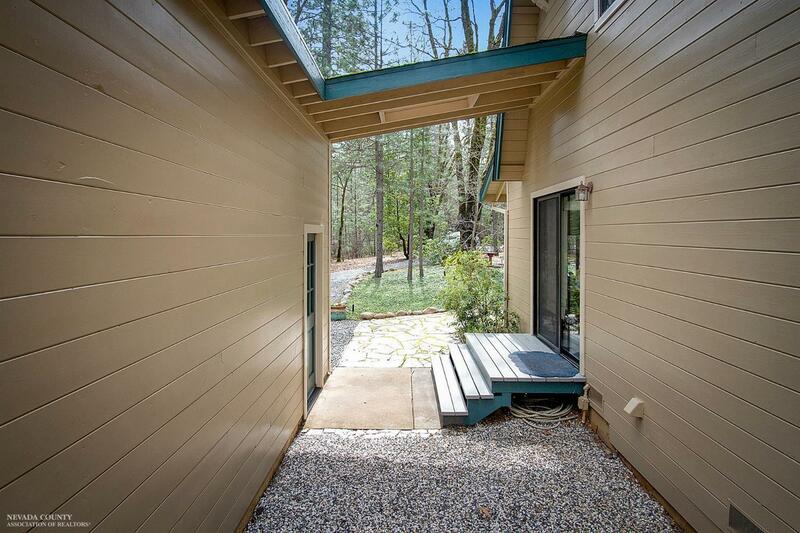 The newer deck is a wonderful gathering spot for seasonal outdoor dining surrounded by nature. 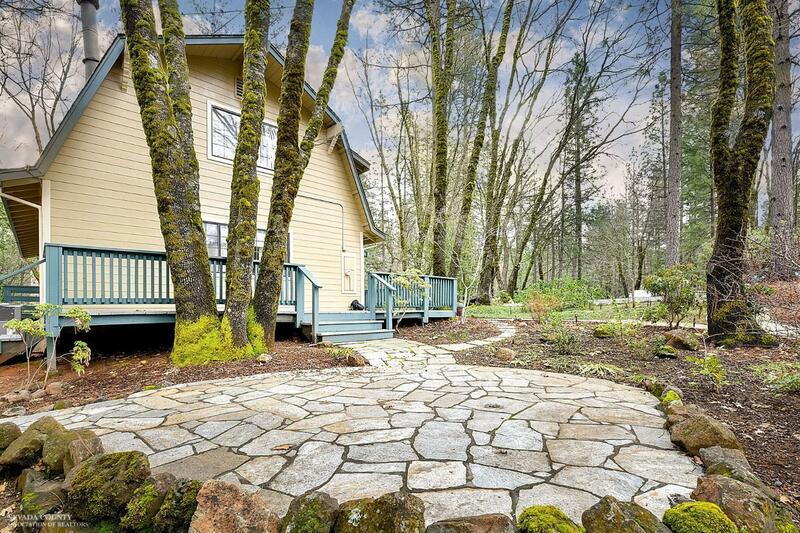 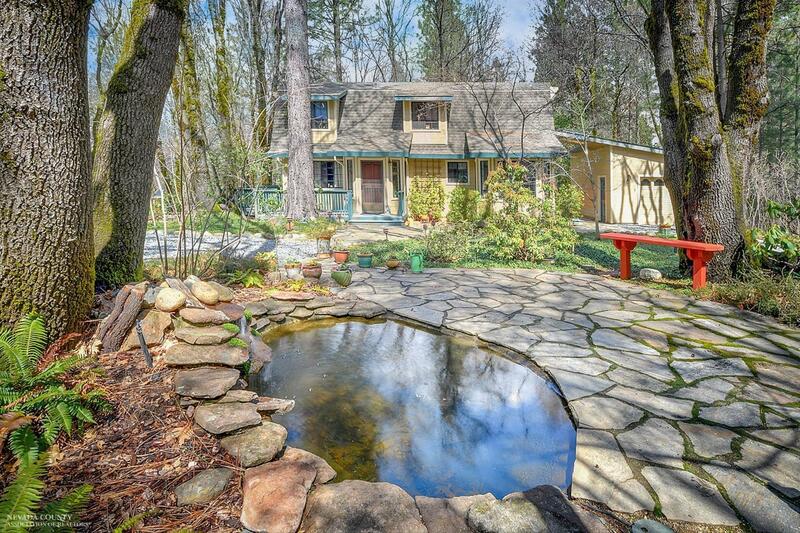 Find even more peace of mind sitting by the sweet slate pond. 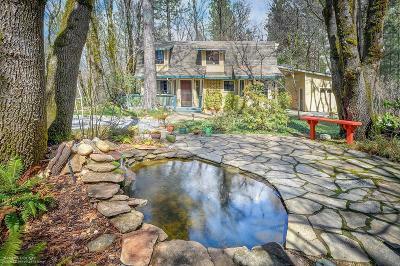 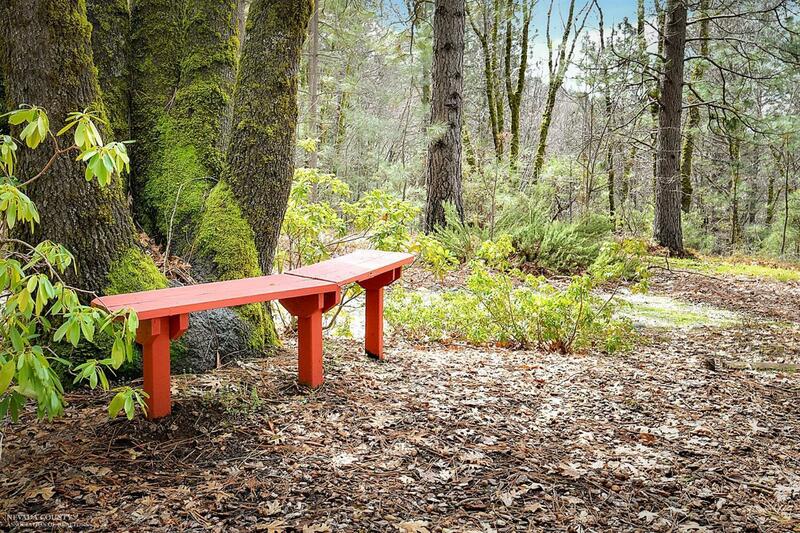 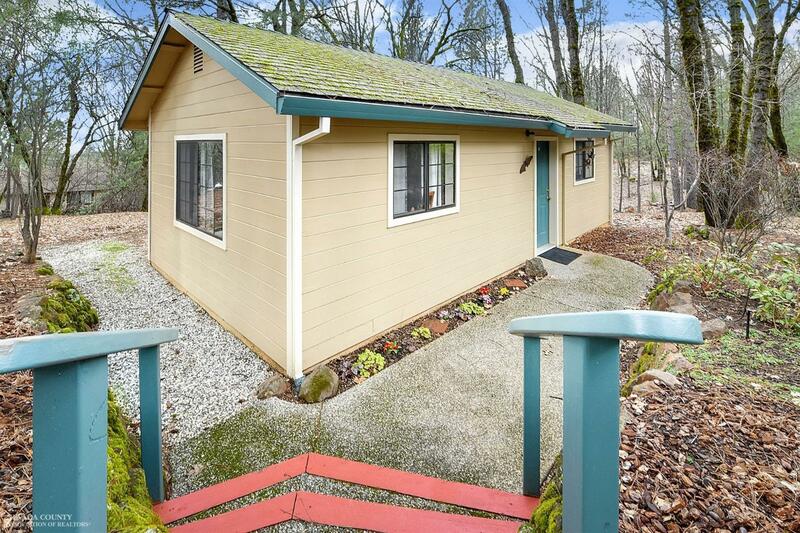 This is a perfect place to escape to, and enjoy while owning an enchanting home and being so close to Nevada City.